Hair color chart is the brain child of ex super model and now very successful business woman Jessica Aneurin. "When I was a supermodel I was constantly being asked by the different fashion shows if I could change my hair color quickly to suit the shows theme, Hair color chart is just an extension of that" Jessica says. 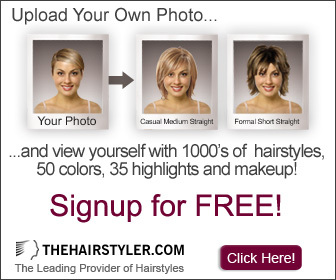 Hair color chart was built in 2007 to feed the vast growing requirement of women and men everywhere to find the right color for their hair. With more and more hair color manufacturers popping up all over the world with an ever growing collection of colors its becoming more and more difficult to find the right hair color. Hair color chart was built to try and bring all of those color collections together in order to help people make the right choice. Once we started putting the hair color charts together we realised that there was a huge amount of information out there about caring for your hair, not to mention the millions and millions of hair care products. "Its an absolute minefield" says jessica, "Choosing the right hair color or hair care product was driving people to insanity". Thats when we decided to add the hair color articles section and hair color products section. We know that there was no way we could get all of them onto the hair color chart website but hopefully by choosing the best ones we could help people make the right choice. Since we started the hair color chart website our visitor base has been growing steadily almost every day and now its just great. Every morning I wake up to quite a few emails from people thanking me for helping them make the correct choice, its great. I never in my wildest dreams thought the website would be so successful, All iwanted to do was help a few people but now i help hundreds.. I love it!